Screen capture programs are becoming more and more handy. And I’m talking about programs that can capture everything happening on your screen…video, sound, with highlights, graphics, arrows, circles, zooming…not just the capture of a still pic. All those tutorials you see on YouTube for software programs are done using Camtasia or some other similar screen-capture program (and usually a poor quality voice-over by the dude in engineering). But despite my requests and others, TechSmith (Camtasia’s parent company), never seemed interested in developing a similar app for capturing the activities on an iPad screen. There was a lot of talk for a while, but no action. Now, there’s something available that settles the issue. REFLECTOR is an inexpensive and simple-to-install program for Mac or PC that mirrors everything from your iPad screen to your computer screen. So whatever you manipulate on your iPad (or iPhone) will appear there on your laptop. 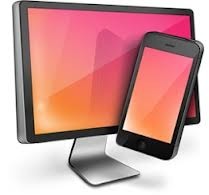 It requires an iPad2 or newer, which has the AirPlay mirror program already built-in to the iOS. I’m embedding a video below to show you how really well this works…very easy to set-up.